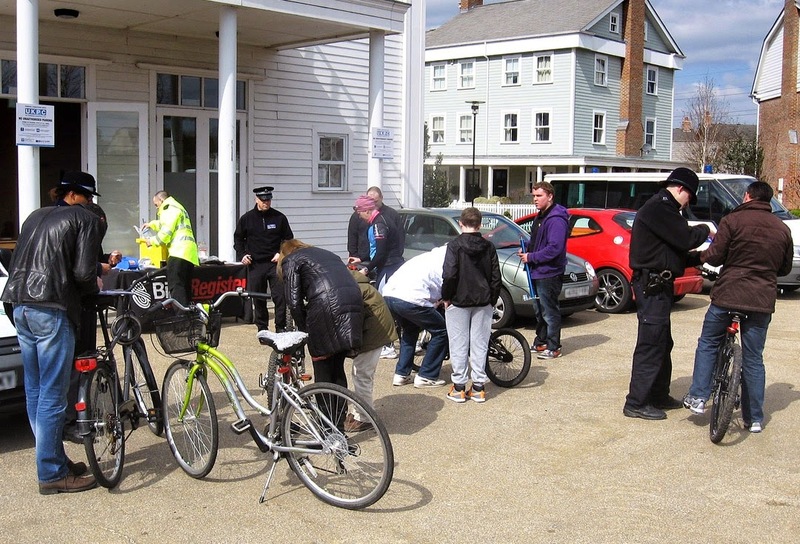 Come to Maple Lodge in the Hamptons this afternoon (7th February) from 2 'til 5pm to have you bike marked and registered! Officers from 'Suttons Safer Transport Team' and the 'Worcester Park & Nonsuch Safer Neighbourhood Team' will be on hand to mark your bicycle with a unique number that will be registered to you. If your bike is lost or stolen it can be traced back and returned to you if it is found. If you or a loved one happened to take possession of a new bicycle recently (perhaps from a bearded old man in a sleigh) or you just haven't got around to marking your old bike yet, today is the perfect opportunity to get it done. And yes, it's all free! Just imagine the look on the bike thief's face after claiming "Honest Gov - I bought 'em fair 'n' square", when a quick inspection reveals they all belong to people who reported them as stolen, including your recently poached prize bike. Justice done and your bike returned!